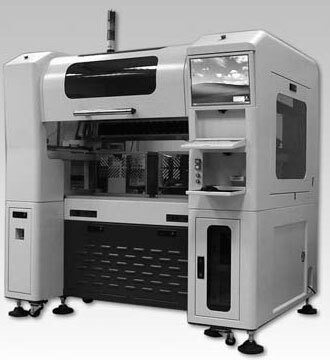 The APE-3200A is the most effective automated system for high-density device programming in the market. It is an unique design and technology of the dual axle parallel and synchronous driving for fast and reliable picking and positioning devices, which maximizes the total throughput. 3. Efficient device programming system (included FLASH, MCU, EEPROM and NAND, SMART CARD). 4. Provide Tube in/out, taping in/out, tube in & taping out, taping in & tube out. 5. Accept custom-design for testing or in any kind of way.